For a more secure and supportive Cloak Mod OWB Holster, many will choose to swap out their paddle for the belt slide attachment. This piece, available for just $6.88, comes complete with two weld nuts, two cap screws and two spacers. Made with a durable thermo elastomer, this comfortable belt slide holster attachment is designed to function perfectly with a strong and supportive leather gun belt. To swap out the paddle for the slide attachment, simply follow the conversion instructions here. Safety is one of our primary concerns when building each handmade holster. This belt slide attachment allows for added security and support with its tough, durable design. In order to perfectly accommodate the size of your belt, the thermo elastomer material has the ability to bend and flex to accommodate many belt thicknesses. The belt slide can also be adjusted for cant. This allows you to carry your OWB holster at a zero or 15-degree tilt in each direction. This feature is especially handy for those looking to wear their Cloak Mod holster in a cross draw position. We recommend you get a feel for it, then adjust it to fit your lifestyle. The belt slide is secured to the outside the waistband gun holster with four weld nuts and four cap screws. All hardware used with this component is black zinc plated and completely corrosion resistant. Every detail, down to the Cloak Mod’s hardware, has been tested and perfected by a highly trained team of engineers. Our holster parts are backed by an Iron-Clad Triple Guarantee. This includes a 30-day test drive, free shell trades for life, and a forever guarantee. 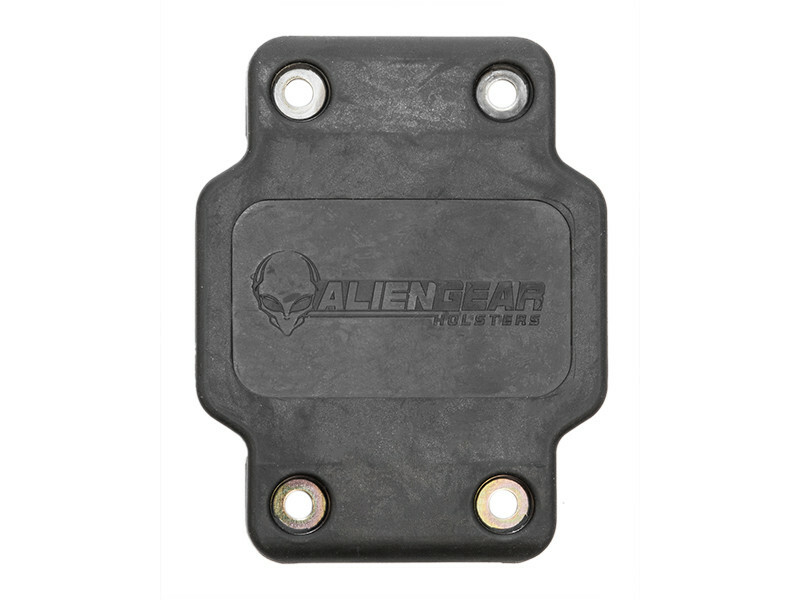 If anything breaks on your Alien Gear Holster, including the belt slide attachment, we’ll repair or replace it for free. If you have any further questions, please contact us.